Q: I would like advice before I approach my bank. We could have paid cash for our $1 million dollar home in June, 2006. Instead we put 20 percent down and took a 10-year interest only mortgage for $840,000 at 6.375 percent. We put the $840,000 into lifetime annuities that will forever pay us 5 percent annually guaranteed, which is almost enough to pay the $4,460 mortgage payment when you consider the federal tax deduction for mortgage interest. We are in year three of this mortgage, so the full amount is due in seven years. We also will be able to get back our principal on the annuity after 10 years. It is guaranteed. We would like to refinance at a lower rate, but our house is now only worth about $850,000 so we have little equity if any. How should we approach our lender about a lower rate? I lost my job in March, and I am now 65 years old and considered “retired.” My husband is a school bus driver which gives us benefits and small income. We have other income from annuities and investments, so we are not cash poor. I don’t know if our mortgage is Fannie Mae or Ginnie Mae, but I doubt it. Is there any part of the Recovery Act that would apply to us? What is the best strategy to approach our lender about adjusting our rate? A: It is extremely unlikely that you will be able to get a lower interest rate on this loan. The jumbo loan market is still fairly frozen. Those homeowners who have excellent credit and a good job can get a jumbo loan for around 5.5 to 6 percent, which isn’t that far below where you are. If you were to refinance, you would still incur all of the fees and charges that would go along with a jumbo loan refinance. Not only that, but you’ll need to have at least 25 percent equity in your home to refinance your jumbo mortgage – or more. You’re in a very tough position. You owe $1 million on a house worth $850,000. The most any lender would give you is 75 percent of $850,000 or $637,000. 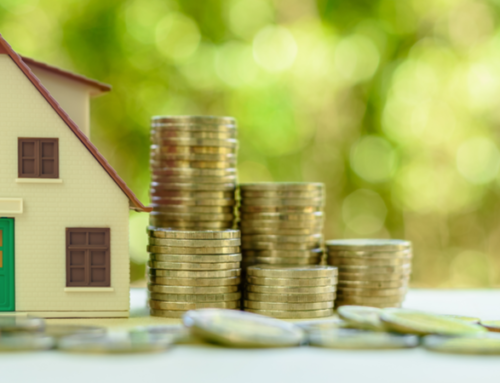 You’d have to come up with $363,000 in cash to close on your new loan – all to save a half a percent in the interest rate – and I didn’t even include closing costs. You’re out of work, and your husband doesn’t earn nearly enough as a bus driver to qualify for a million dollar mortgage, or anything close to the $637,000 you’d need. And, you’d need a ton of cash to close. It’s not a great scenario. There’s no incentive for Wells Fargo to lower your interest rate below where it is now. I’m not sure what your financial strategy was with the lifetime annuity, or who suggested it. You may have paid a huge amount in commissions and fees to get your 5 percent, which isn’t even enough to pay your monthly payment on the interest-only loan. Perhaps it was better than putting the cash into the stock market and losing 30 percent (or more). But if you had paid off your home, you’d be saving more than $4,000 a month in payments, and have greater cash flow on a monthly basis. You can try to approach your lender, but they may not be too willing to help. Your other option might be to talk to your investment broker and see if they offer any mortgage products for a person like yourself – cash poor but with significant investments. You can try to approach your lender to see if they would be willing to qualify you for a refinance under the Obama Home Affordable Refinance plan and program, but due to your income level and the loan amount, you might not qualify under the plan.